The Lumix G9 is the most well-specified, well-built and well-rounded Panasonic mirrorless camera to date, offering a long list of mouth-watering features with performance and image quality to back them up. This is one camera that can handle almost everything that you'd care to throw at it, from high resolution landscapes to wildlife and sports, from great stills to quality 4K video. While the GH5 still has the edge for serious videographers, as an all-rounder the new G9 is very hard to beat. It might employ the same 20 megapixel sensor and Venus engine as the GH5, but that hasn't stopped Panasonic from making the G9 even better in terms of still image quality, with better performance in the mid-high ISO range. The new High Resolution mode increases the usability of the camera for landscape and macro photographers, whilst the blistering 20fps burst shooting with full-time AF does the same for sports and action shooters. 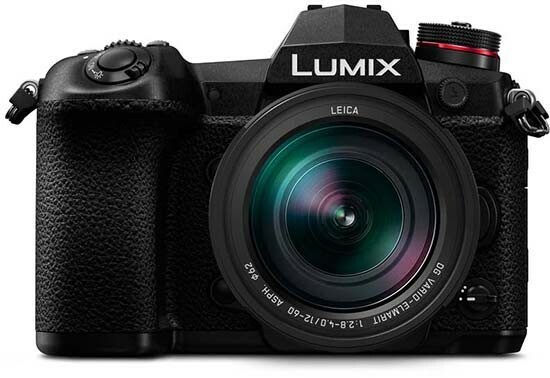 Where high-end cameras used to specialize in one area - resolution or speed, photo or video - the latest generation are proving equally adept in all areas, and the Panasonic G9 is no exception. Backing that up is a raft of improvements to the user interface, with the new EVF, status LCD screen, deeper handgrip, and less cluttered control layout all adding up to make this the most pleasurable to use DSLR-like Lumix camera. The rear LCD screen is somewhat incongruously less well specified than on the GH5, but otherwise Panasonic have seen fit to equal or improve almost every area of the G9's operation.